Images by Awario. Used with permission. You know the kind – trying to get a word in edgewise is a battle. And when you finally do, he’s just waiting for his turn to speak again. This is not unlike how some brands engage in social media today. They’ve shown up to the party, but the conversation is a bit one-sided. That’s where social media listening tools can help your brand succeed both socially and in business. Long gone are the days when simply having a social media presence and scheduling some updates make you a “social” brand. New technology has catapulted companies into the next level of social media engagement by providing insights around the mounds of data being produced on social media each minute. Get to know your audience and what they want, then deliver it. Monitor brand mentions on social and across the web, and take action. Identify and get in front of important influencers with targeted messaging or products and services. Find potential customers and target them with what they’re looking for. Monitor your competition and identify opportunities to pick up where they have dropped the ball. Manage crises and public relations better. These are just some examples of how you can get creative with the data that social media listening tools can offer. Let’s take a look at the top features of seven social media listening tools you should consider if you want your brand to be the life of the party on social (not the guy people avoid). 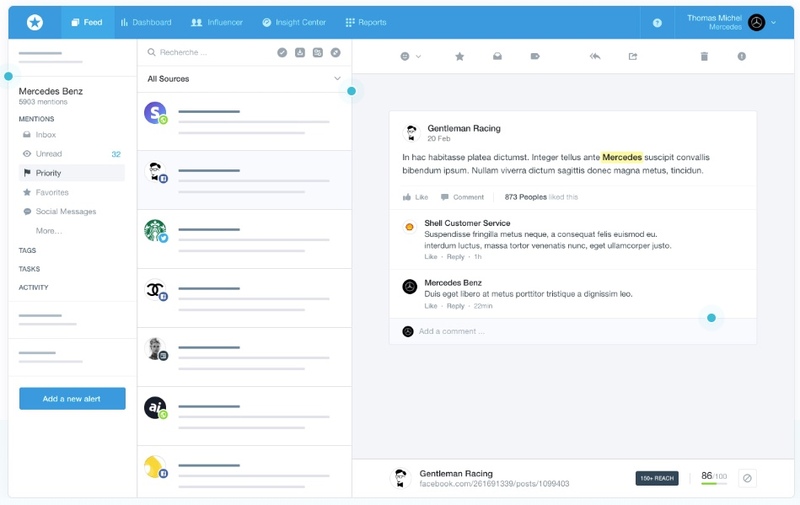 The same folks who created SEO PowerSuite software bring you Awario – a popular social media listening tool for individuals up to enterprises and agencies. 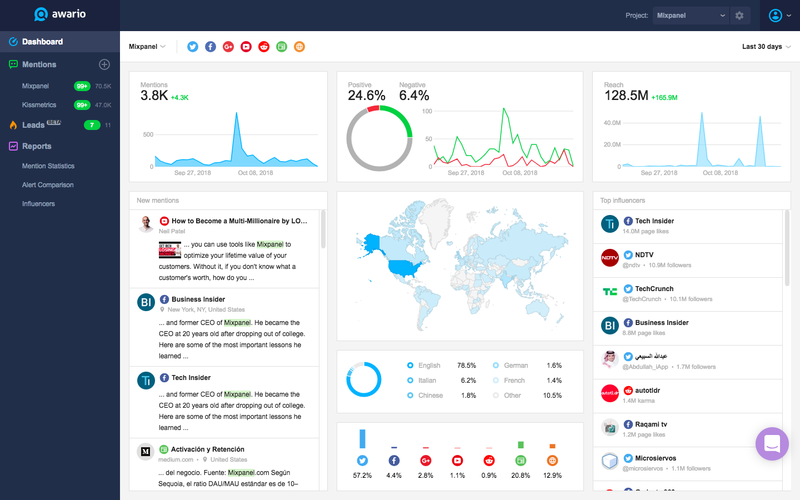 Awario has all the basic features you’d find in a social listening tool, and covers the major social media platforms and the web, including news publishers and blogs. Flexible Boolean search for precise monitoring. The Leads feature is a really unique tool; it helps you identify potential leads on social media when people are asking for recommendations, for example. It also allows you to track competitors and their audiences to see who might be unhappy with them in some way, so you can pick up where the competition has left off. With Leads, all you do is set up your brand name, your product or service descriptions, and your competitors in a project to start monitoring. The algorithm uses predictive insights to create a feed of potential customers you can then engage with using best practices (read: in a non-creepy way). Boolean search offers exceptional customization when tracking mentions. This leads to monitoring and alerts delivered with extreme precision. The possibilities with Boolean are vast, but let’s look at just a few ways you can use it. First, you can set up which words should not be in the text you’re monitoring. This option is useful when you’re tracking mentions of a brand (or any other keyword) that’s a common word (or is ambiguous). The “AND NOT” operator can be used together with other operators, for example, “link.” This would help you track mentions that aren’t already linking to your domain to uncover link building opportunities. Another example of using Boolean search would be to create a query that says what words can be in the text, but how many words away from the keyword they should be. This could be useful, for example, if you worked at an SEO software company and wanted to search for people and publishers who wrote a lot about SEO tools, so you could connect. There are a number of ways people could refer to SEO tools. They could talk about “tools for SEO,” “SEO and marketing tools,” and so on. If you were to run an exact match search, you’d end up missing a lot of valuable results. Setting up a specific Boolean query can address this, so that the “tools for SEO” phrase is counted as SEO tools. Growth in number of mentions. Mentions by country, language and source. You can easily compare your brand to competitors as well. This is useful if you want to measure the share of voice your company has relative to competitors. Long gone are the days when simply having a social media presence and scheduling some updates makes you a “social” brand. New technology has catapulted companies into the next level of social media engagement by providing insights around the mounds of data being produced on social media each minute. For example, if your mentions grew by 20 percent one month, how would you know if that was actually good? Access to this data can be a good point of reference in measuring your success against competitors. Or, suppose your sentiment analysis showed a negative trend – you could see how that compares to your competitors. 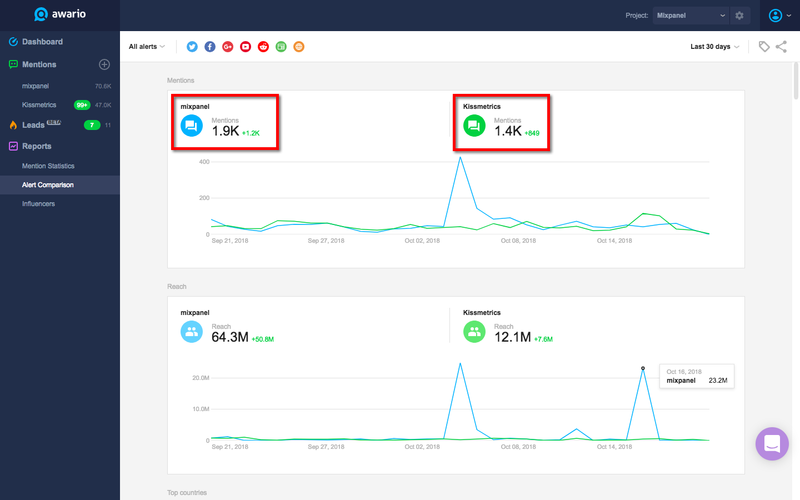 Finally, comparison reports can help you identify social media platforms or websites that your competitors get a lot of mentions from; chances are, those are also good for your brand. The reporting includes unlimited historical data, meaning you can go back in time as far as the data allows. There’s also a white-labeling option available to enterprise users, so you can generate your own branded reports. Awario’s plans are catered to the individual up to enterprise or agencies on a monthly or yearly basis. The yearly plans save you the equivalent of two months worth of dues. You can sign up for a free trial to start. Mention is another useful social listening tool mostly targeted to enterprises and agencies, though it has plans for the individual and small business. 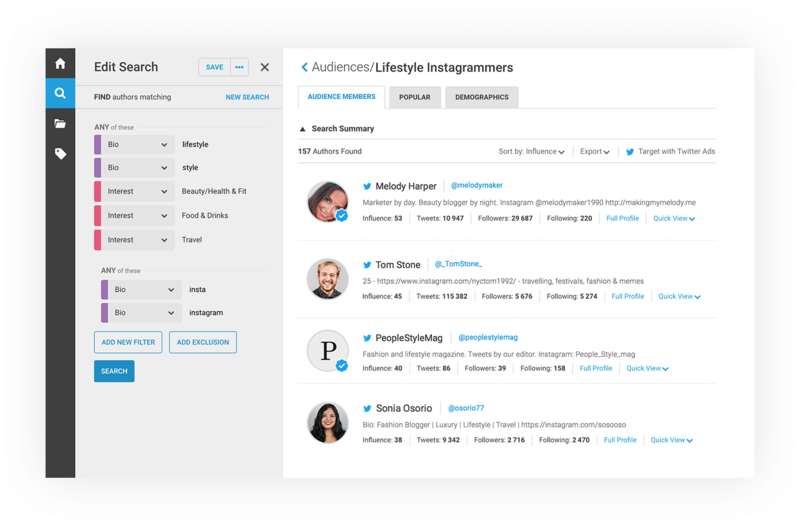 Mention’s influencer dashboard gives you multiple ways to connect with the important influencer segment. Influencer scores can tell you just how significant someone is within the segment. You can monitor not only influencers, but also find brand advocates. Important to note is that influencer data is mostly based on influencers who mention your brand, competitors or industry – so based on the mention alerts you set up. There is an option to run real-time searches for influencers, but it’s limited and only works for Twitter and Instagram at the time of writing. You can set up alerts to find the most influential websites in your sector as well, and build that into your marketing strategy. Build your own monitoring tool using Mention’s crawler. 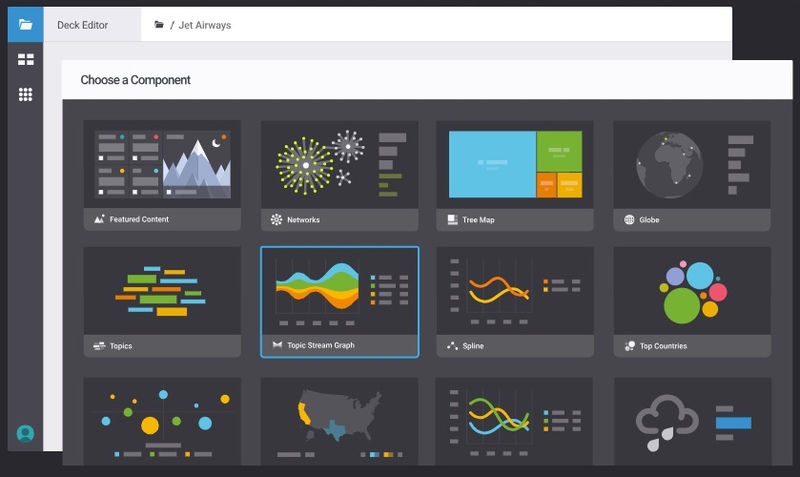 Integrate more data into your existing dashboards or reports. Add new features to a product you already have. 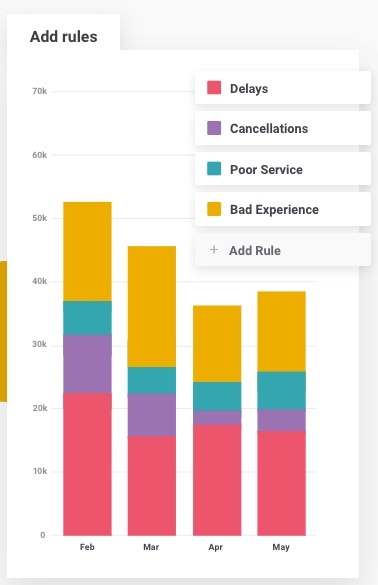 The insights center provides rich data visualization in different formats including line charts, pie charts, bar graphs and more for easy reporting to company stakeholders. You can drill down into the charts by clicking on a point to see individual mentions on social, and take actions accordingly. Mention has monthly and yearly plans. The solo plan is very basic; its “company” plan unlocks the most features. If you buy the yearly subscription, you save the equivalent of two months of dues. Talkwalker is a platform that’s best for big brands and agencies. This tool is a good fit if you’re not looking for a daily feed of mentions, but instead are interested in the analytics and trends behind the conversations in your industry. Its social analytics is its most powerful feature. From tracking campaign performance to competitive benchmarking, the analytics follows online, social, print, and even TV and radio content in 187 languages going back two years in historical data. Talkwalker’s demographics present data about your target audience by age, occupation, interests, and much more. 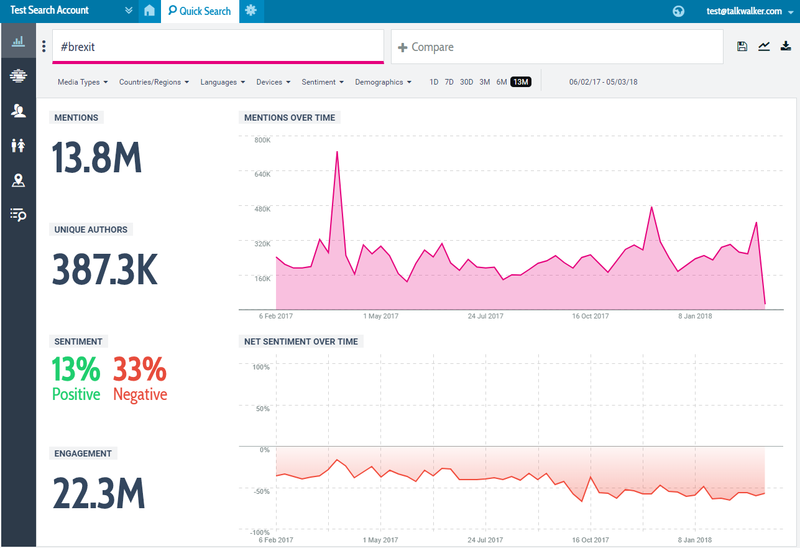 The themes feature lets you discover popular themes visually, such as hashtags, emojis, demographics, sentiment, and so on. “Top themes” shows emerging themes and themes that are decreasing in popularity compared to the previous time period. Talkwalker may be the leader when it comes to the platforms it monitors, which include major platforms and niche sites like Flickr, Foursquare, SoundCloud Twitch, Pinterest, and other local social media sites such as Vkontakte. 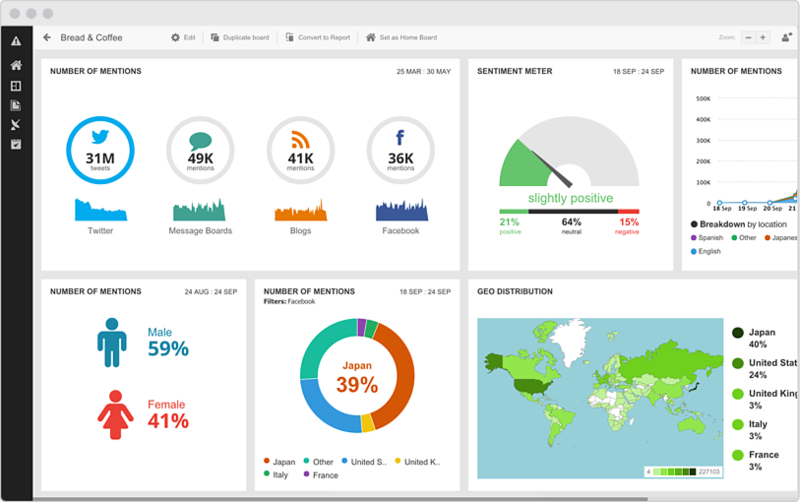 Brandwatch is a powerful social listening analytics platform that’s a great fit for marketing analysts at big brands and agencies. The Audiences product may be the most powerful audience analysis on this list. 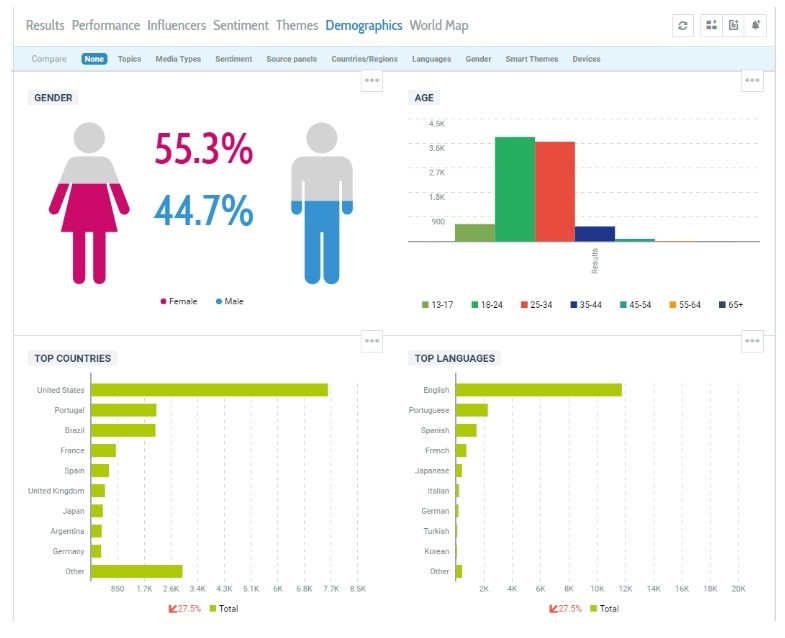 In a nutshell, it lets you find and analyze the audiences that matter most to your brand. You can identify them by searching audience demographics, interests, location, occupation, and much more. You can also use the data to find out how your audience compares with that of your competitors to uncover opportunities for more targeted marketing. The Analytics product is a strong point for Brandwatch. It monitors everything from social sites to review sites and more with the ability to add custom monitoring as well. The data is in real time, though you can also look at year-over-year trends. You have access to more than 50 filters to slice and dice the information, but you can also create your own rules to segment data and even customize the sentiment algorithms. 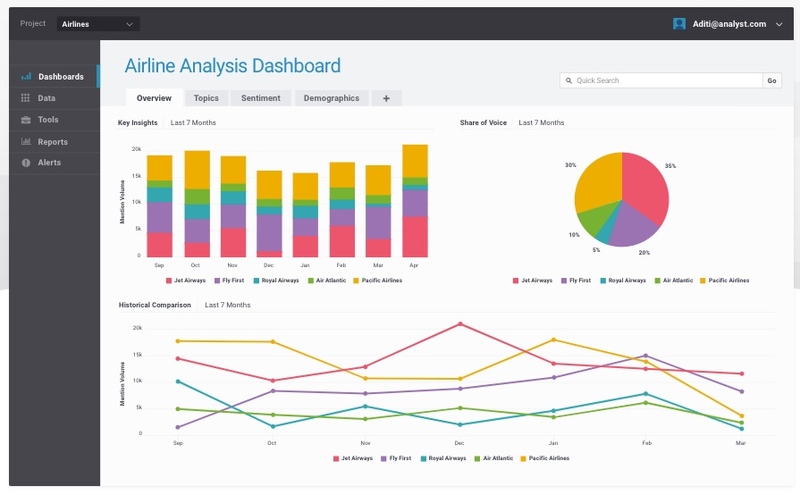 Brandwatch’s Vizia product allows you to visualize real-time data in lots of intriguing formats. One of the nice features of Vizia is that you can integrate data from other sources as well. As a subsidiary of Brandwatch, BuzzSumo operates a little differently than the other social listening tools on this list. 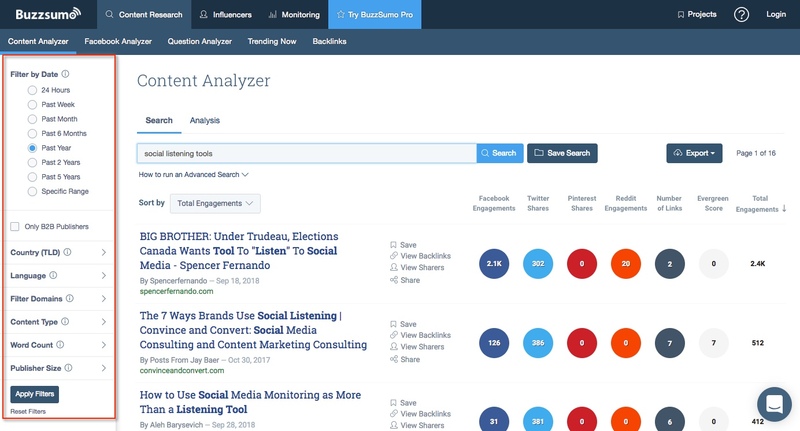 BuzzSumo’s main strength is to help users identify the most popular content across social mediums such as Facebook, Twitter, Pinterest, and Reddit. Individuals up to the enterprise could leverage BuzzSumo’s data. Powerful search parameters and filters. You can do a lot more content discovery research once you’re in the app. Another neat feature is the social backlinks tool. This allows you to see how many backlinks a piece of content has; along with shares, this is another indicator of the popularity of a piece of content. 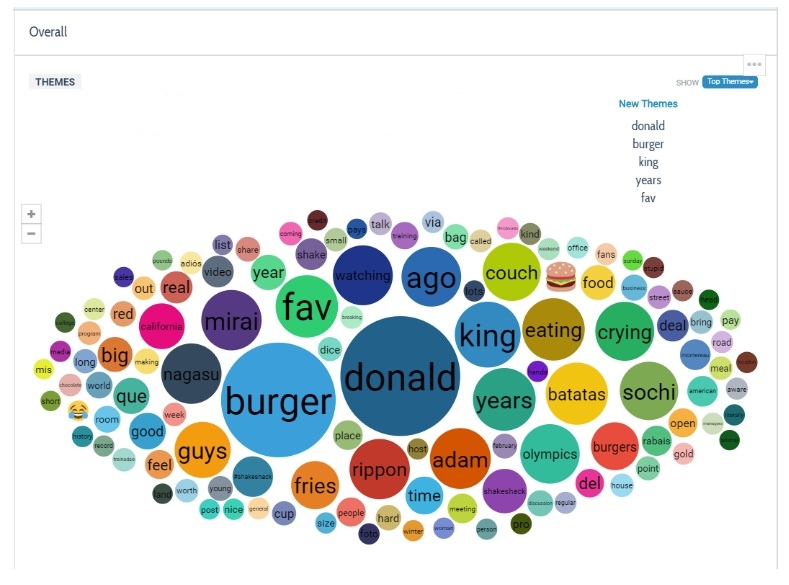 BuzzSumo’s influencer data is real time. 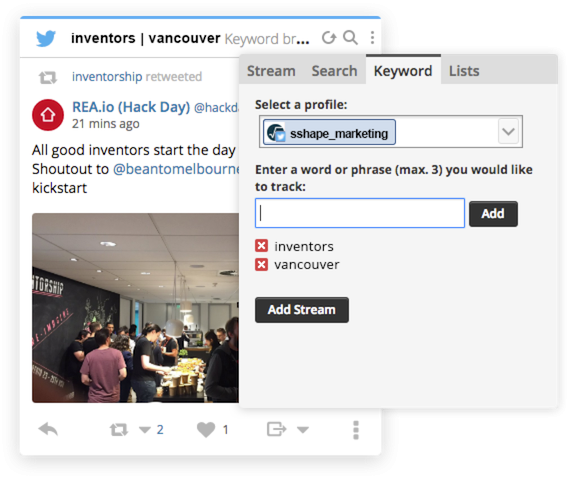 Quickly search for influencers in any topic, area, or location. Analyze them by filters such as reach, authority, influence, and engagement. Find out the topics and domains the influencers share most and build this into your content strategy. You can try the app in your browser until you reach your daily limit of searches. You’ll then be asked to sign up for the free trial. 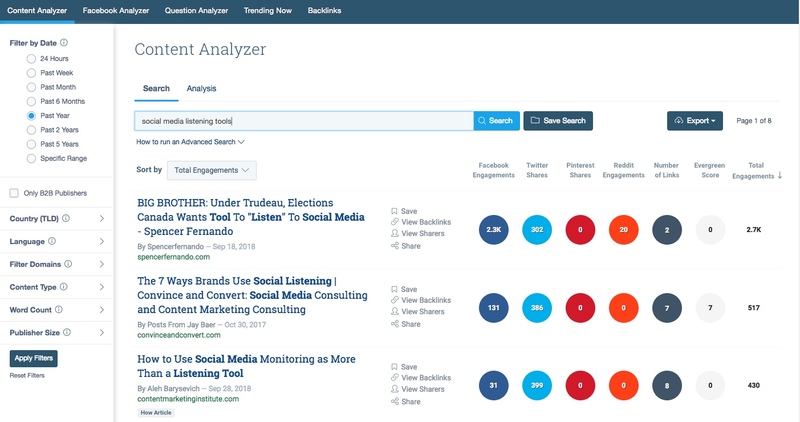 BuzzSumo offers a solid free version with limited access to content analysis and influencer search tools that you can accomplish a lot with. From Fortune 1000s to small businesses, a lot of companies have traditionally used Hootsuite as a social media management platform. Gauge sentiment by specific audience segments. Offer real-time data so the dashboard is always up to date without running reports. Provide alerts that let you know of any unusual spikes in sentiment or something else (useful for risk management). Pricing for this product is custom; contact Hootsuite for more information if you’re interested. 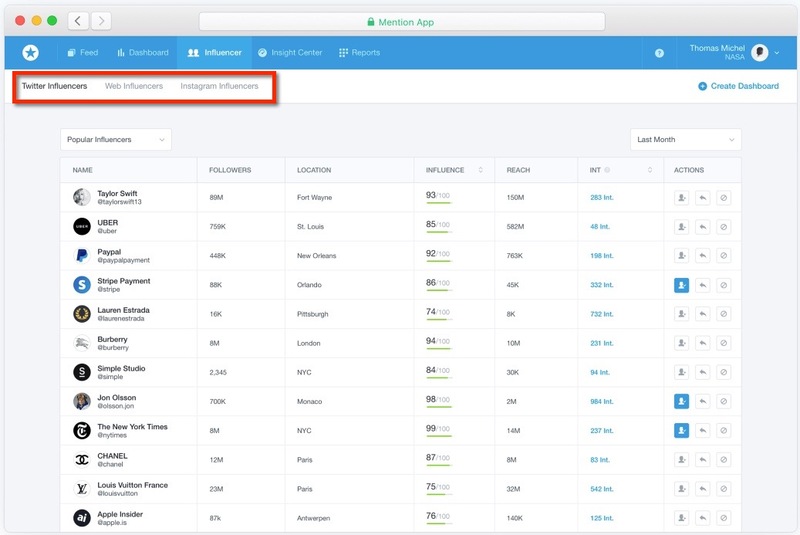 Integrations with monitoring apps, including Brandwatch. Filters you can use to find social conversations by keyword, hashtags, and more. Assigning posts and comments to specific team members to handle. The “professional” and “team” levels offer a free 30-day trial. Last but not least is Social Mention, which acts like a search engine for social. 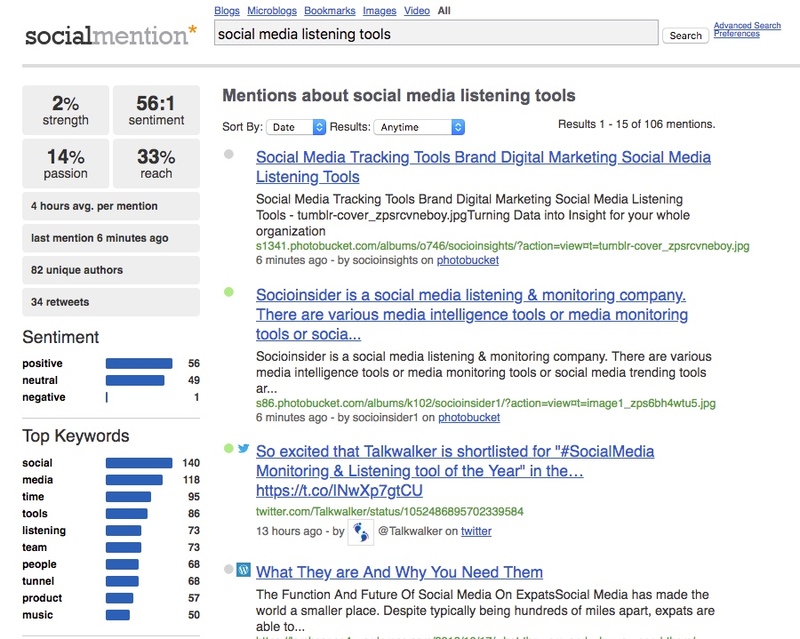 Social Mention monitors more than 80 social media properties, including Twitter, Facebook, FriendFeed, YouTube, Digg, and more. Any type of business can benefit from the data Social Mention offers. Strength: The likelihood that your brand is being discussed in social media. Sentiment: The ratio of mentions that is generally positive to those that are generally negative. Passion: The likelihood that individuals talking about your brand will do so repeatedly. Reach: A measure of the range of influence. This is a 100 percent free tool. How Will Your Brand Show Up in 2019? The new year will bring more social data and more opportunities to listen and connect with your target audience. Without access to the information that social listening tools can provide, you’re shooting in the dark when it comes to your social engagement strategy. So, ask yourself: What type of brand will we be on social media in 2019? Will you listen and engage in two-way conversations, or be the brand people ignore? People are talking about your business online.